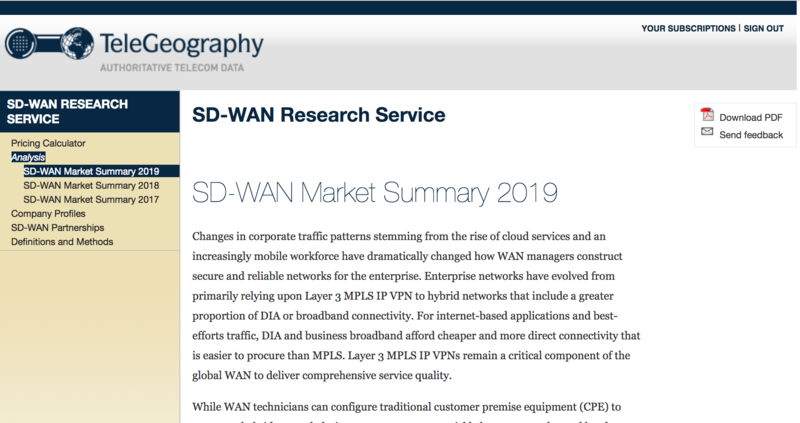 A full market summary, covering WAN service pricing trends and a detailed SD-WAN service review. An interactive SD-WAN pricing calculator, which allows users to input their unique network specifications and benchmark SD-WAN overlay pricing from both unmanaged and managed SD-WAN service suppliers. More than 70 company profiles of vendors and managed service providers offering SD-WAN, which cover product details, network scale, service packages, and more. Download a free brochure for product details, prices, and more. I think we’re ahead of the curve with the SIP Pricing Service. Our price comparison tools are one of the only resources I know of that allow customers to understand the market in this way.